News about books and authors shared by others from around the globe. Harlequin Books Australia are looking for the biggest Iron Fey fan. The prize is an advanced copy of The Lost Prince, as well as being a guest reviewer for HarlequinTEEN T.V. Before you watch the clip all about it though, for a limited time you can purchase the eBook copies of The Iron Fey series for $2.99 right here. I finished reading The Iron King, first in The Iron Fey series, earlier this week and then scored an eBook copy of The Iron Daughter. Talk about an excellent unbirthday present. Book discount! Recently we had an eBook giveaway for copies of Coffee at Little Angels by Nadine Rose Larter, which ended on the sixth of December and now I’m announcing the winners. They’ve all been contacted so this is purely for curiosity’s sake (unless they’ve missed their emails then please check your inbox if you see your name). I have some very exciting news! Well it will be exciting for Anne Rice fans, especially traditional Anne Rice novels fans like I am. I’m so excited I think I’m going to bust something. I know I’ve been posting a lot of news lately, especially double posting, but I had to share this one. It’s excitingly big news! The Wolf Gift comes out two days after my birthday too, which is awesome. I will be having this as my birthday present even if I have to buy it myself! Question: Not really related, but kind of, what do you think of all this double posting and sharing book news like this? For science fiction fans, or anyone new to the genre, Wyatt Davenport is offering free print and eBook copies of his novel Lunara: Seth and Chloe in anticipation of his impending new release Lunara: Gwen and Eamonn! I reviewed Lunara: Seth and Chloe, along with the accompanying short story to the series Parker McCloud at North Tharsis, back in August. I’m not normally a massive science fiction fan, at least when it comes to a space setting and travel, but I really enjoyed Seth and Chloe. While it’s good for those who aren’t into the genre, or wish to try it out, I believe the story would also please avid Sci-Fi fans and recommend it if you’re after a new series. Recently I reviewed Coyote’s Daughter by Corie Weaver and loved it. It’s a young adult fantasy adventure set in New Mexico utilising Native American mythology and I think it’s safe to say Coyote’s Daughter is my new favourite. It’s a story I’ll definitely re-read and where the sequel will be much appreciated. You can read my review at the above link for more about what I like about it. The reason why I’m posting about it is because Corie Weaver is having a give-away! Corie has eBook copies of Coyote’s Daughter and the signed poster up for grabs, one of which you can win with a simple comment, and the other via a more fun and creative way. I recommend Coyote’s Daughter, whether your a tween or an adult, especially for those who love their YA fantasy. So go check it out! Every year the organisation Lifeline holds book fairs throughout N.S.W. and the money that is raised from these book fairs goes towards the organisation and ultimately helps those suffering depression and needing help. Usually it’s for two whole days, Saturday and Sunday, with Sunday being a half price day. You’ve got so many books to choose from in different areas, classic literature, philosophy, collector items, science fiction, fantasy, horror, general fiction, romance, graphic novels and comic books, art, music, history, science, text books, children’s books, young adult fiction, other non fiction, Australiana, and sometimes there’s even vinyl records and CDs. All of that is for so cheap it is not funny. My first time to this book fair, I ended up buying 100 books for around the $250 mark. Think about it; books for $1-$5 on average on the Saturday and then on Sunday it’s all half price! And how much is it to enter this event? A gold donation! That’s it! This year there have been some changes with the Sutherland Book Fair. They’ve moved it to Gymea Tradies and it will go for two days and one evening! 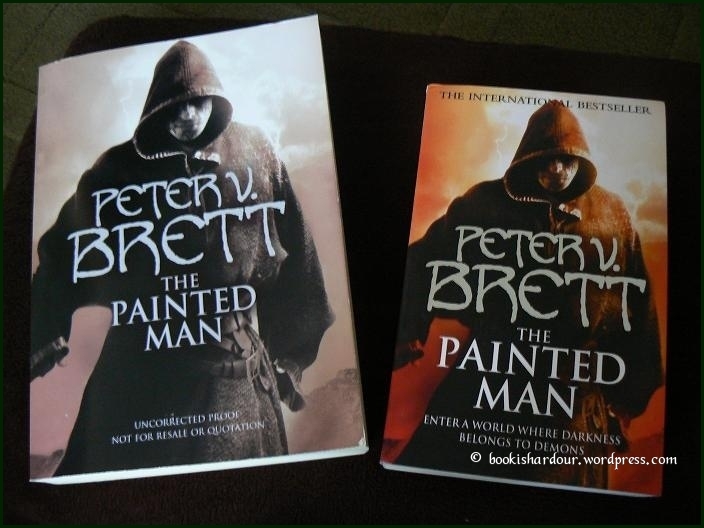 Peter V. Brett is one of my favourite authors and he is coming to Australia. During his visit in Oz he’ll be signing books so I decided to buy a book just for him to sign. 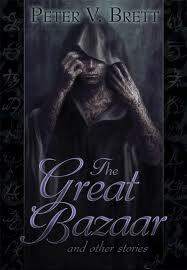 I was hoping against hope that I’d be able to get a copy of The Great Bazaar and Other Stories because like an idiot I didn’t pre-order it before it was available (I also would just love that cover as a poster). It’s still possible to get copies, but there’s no way I’m getting it at the price I’ve found it. I was very tempted though, but it’s just too much. 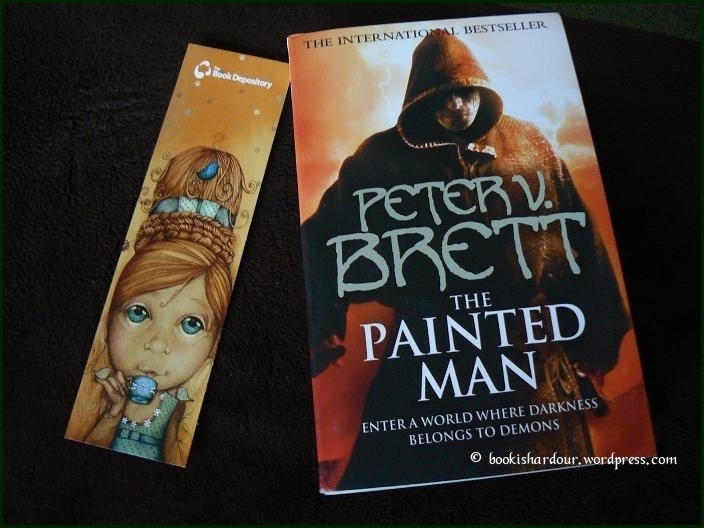 I got my copy from The Book Depository and they sent me a cute little book mark with it. Thanks BD! Don’t get me wrong, I still love the art work, but I really don’t like that colour. It doesn’t look that bad in a photograph, but it’s more on the orange side. Kind of an orange that makes me feel a little ill… Here’s my other copy with it. 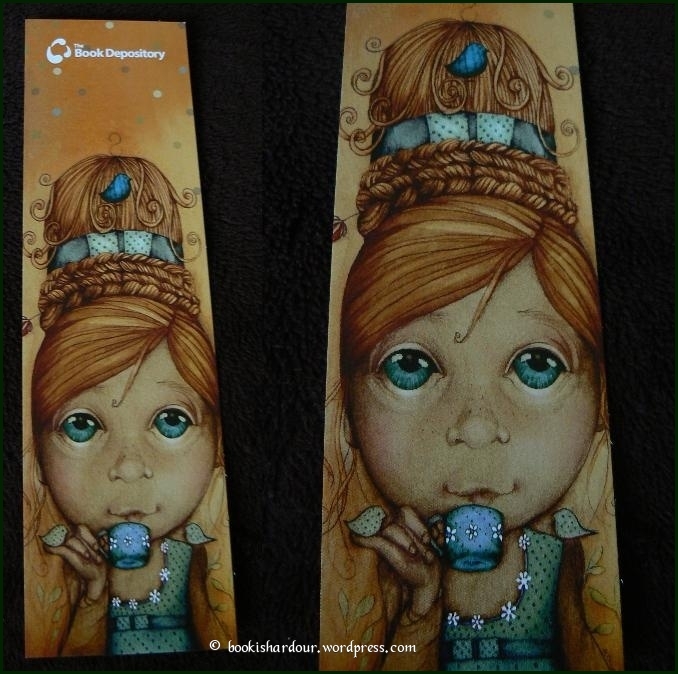 And here’s a close view of the bookmark if you want to check that one out. I think it may be my very new favourite. Now if you’ve made it to the bottom here and are waiting patiently for the details on the Peter V. Brett signing then thanks for being so patient and here they are. And if you’d like to see what else he has planned via his travels check out his post on Peephole In My Skull.